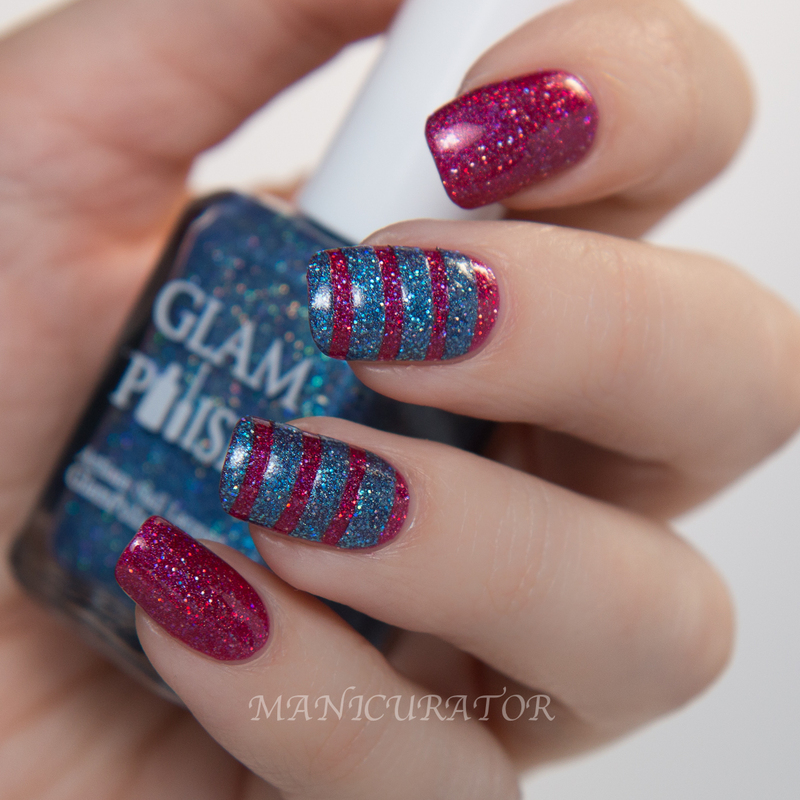 Glam Polish Bang! 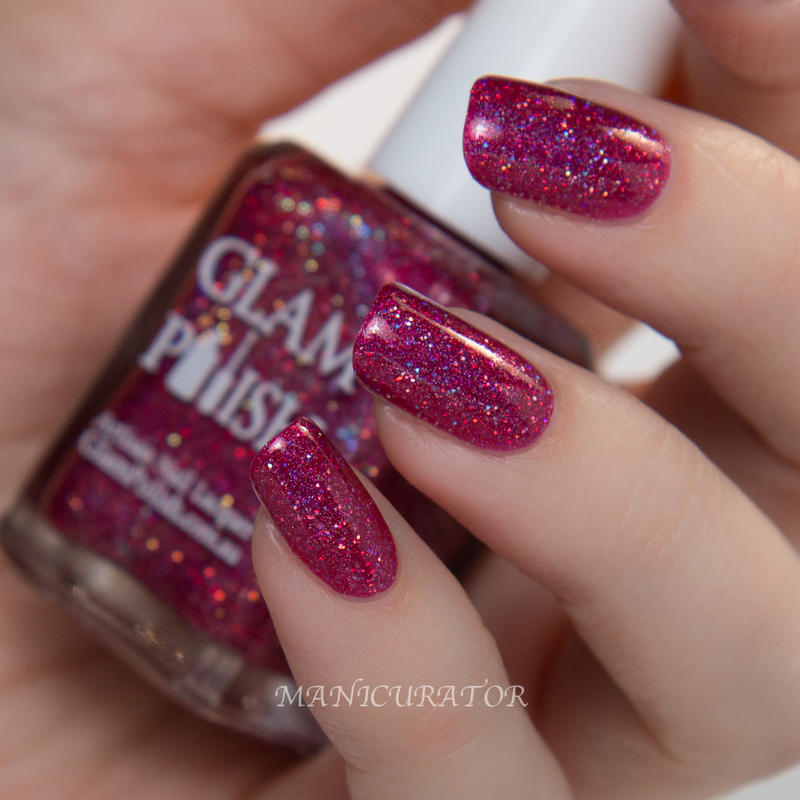 - Bright Magenta Holo with Ultra Holo Glitter. Wow! Can I just say WOW! This is practically a one coater though I used 2 cts for the swatch. I adore this shade! 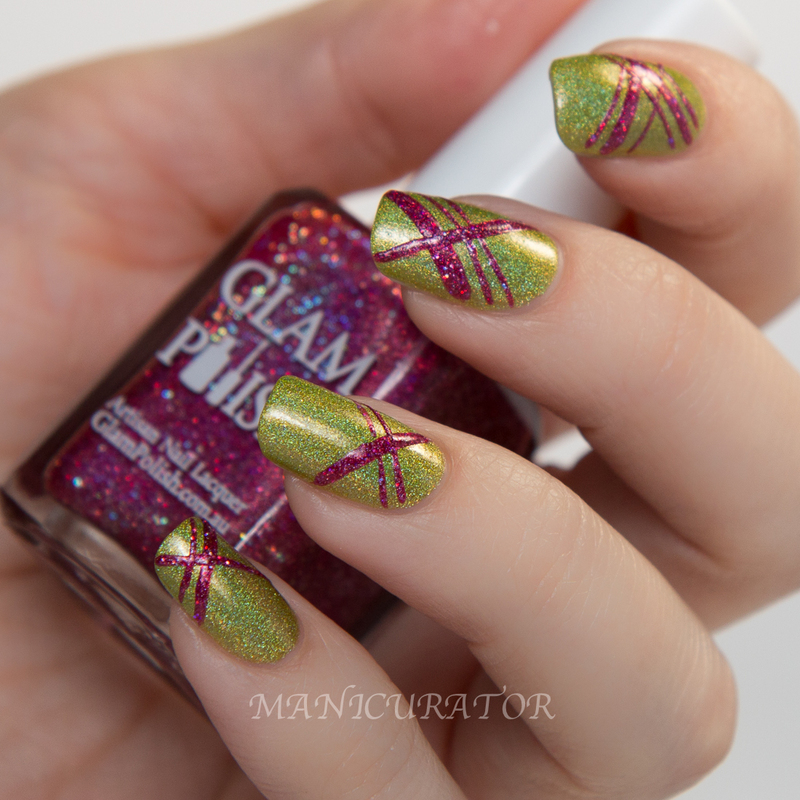 Glam Polish Zap! 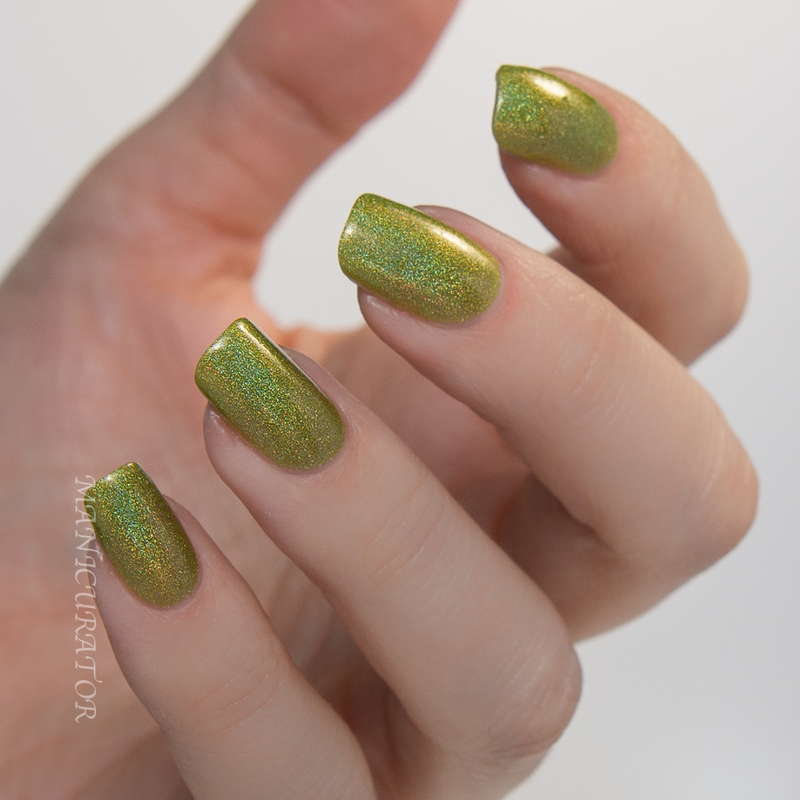 - Electric Lime Ultra Holo. What a great shade. I don't know about you and greens, I never used to like them but I'm comin around. 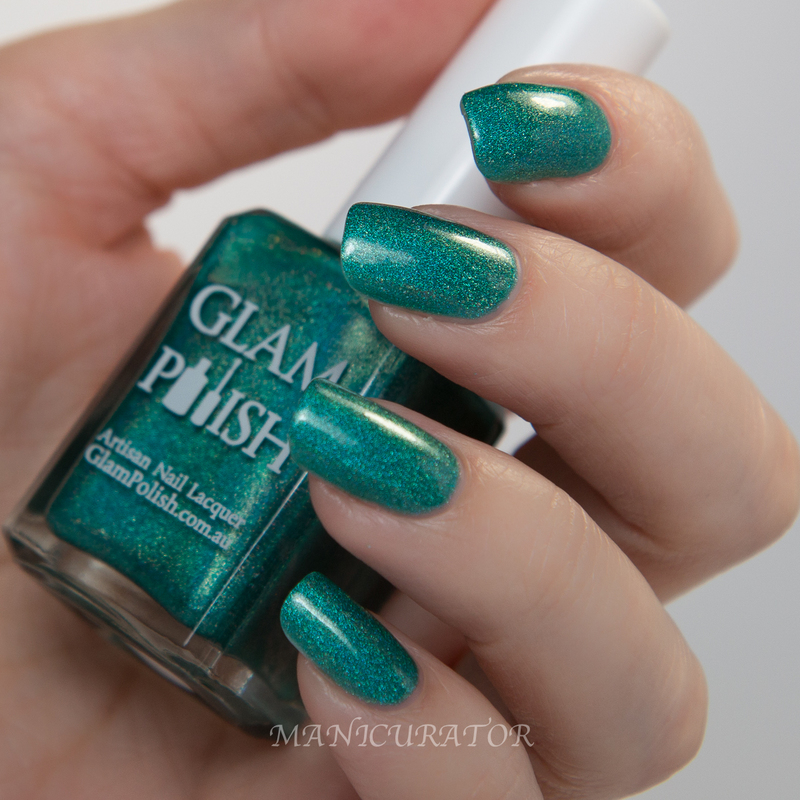 I do love this shade and it's so great for combining with other colors! Two coats here. Just did a quick design here, practicing my lines! 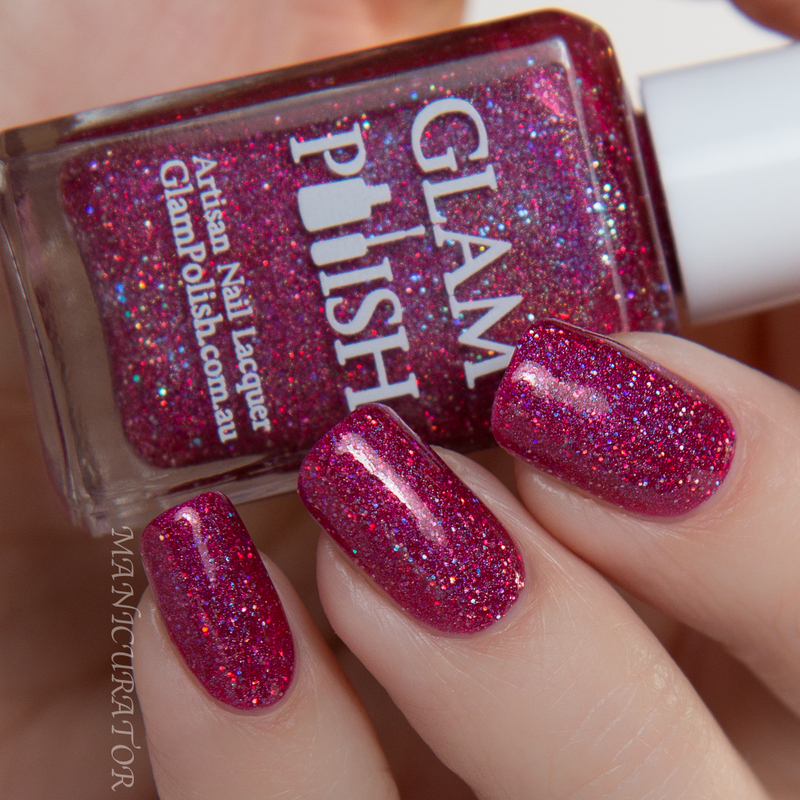 Glam Polish Crash! 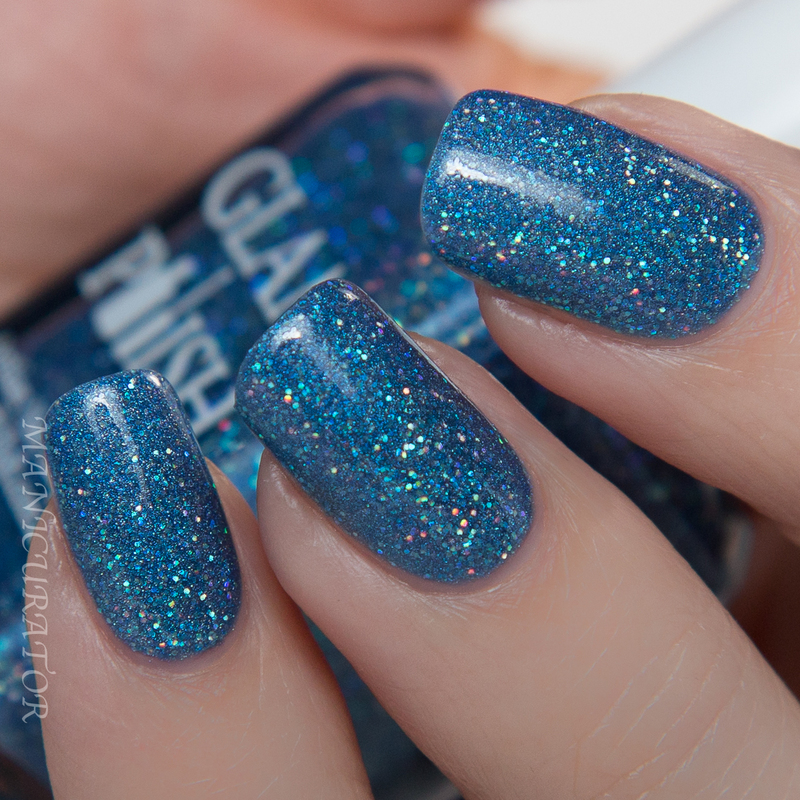 - Denim Blue Holo with Ultra Holo Glitter. Would you just look at this? I can't stop staring. Another with perfect formula, 2 coats here. I combined Crash! with Bang! 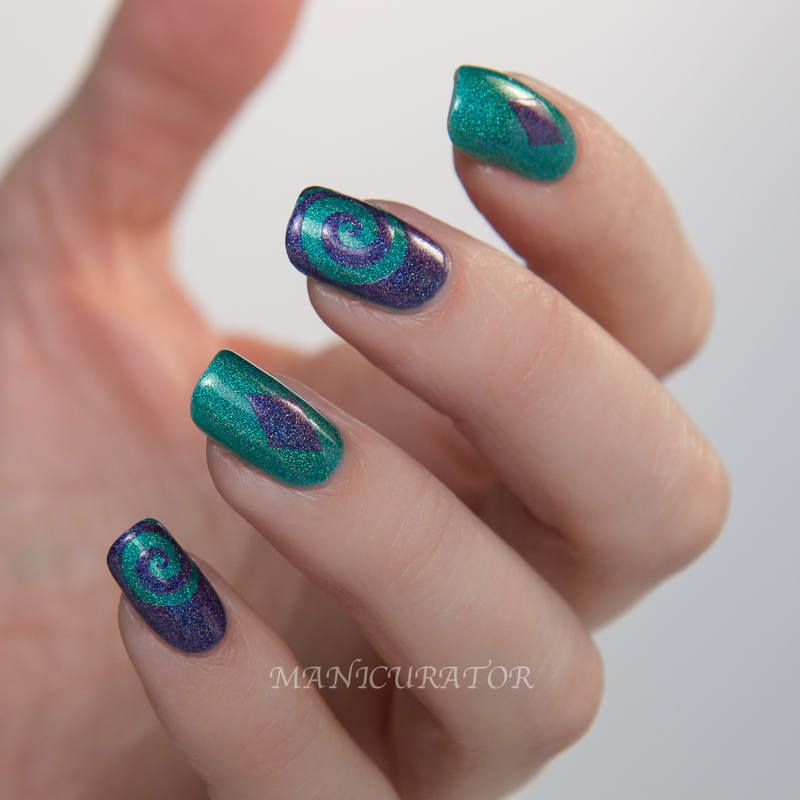 using KBShimmer's new nail vinyls. Here's a look before the top coat went on. OK, here's my favorite combo of this post. Crash! and Zap! Actually in love with how this one turned out. I just adore this color combo and this simple design! 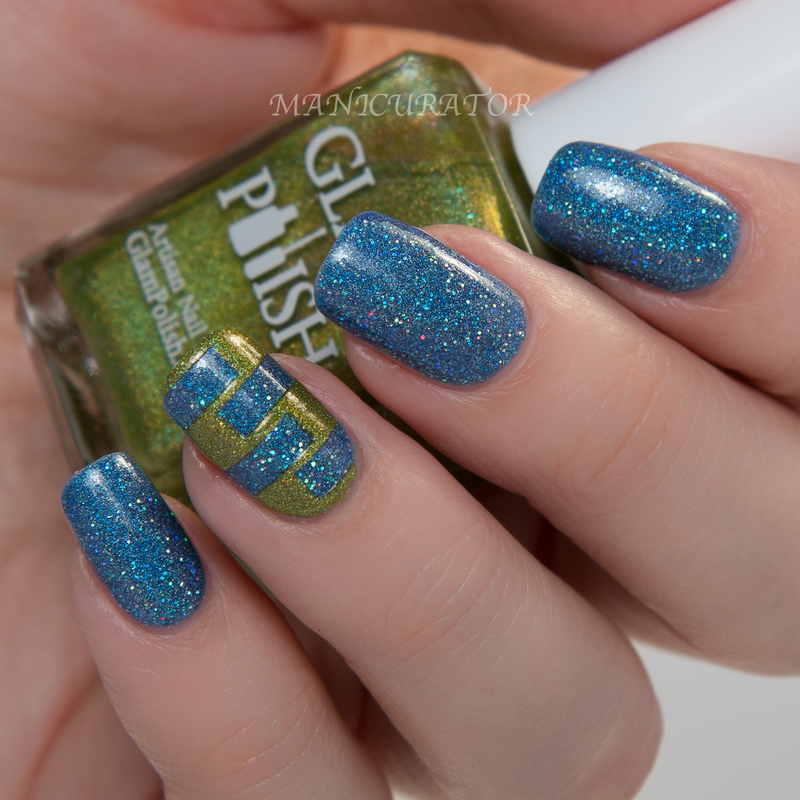 Only the blue shade has top coat because I loved how it looked with the raised edge of Zap!. 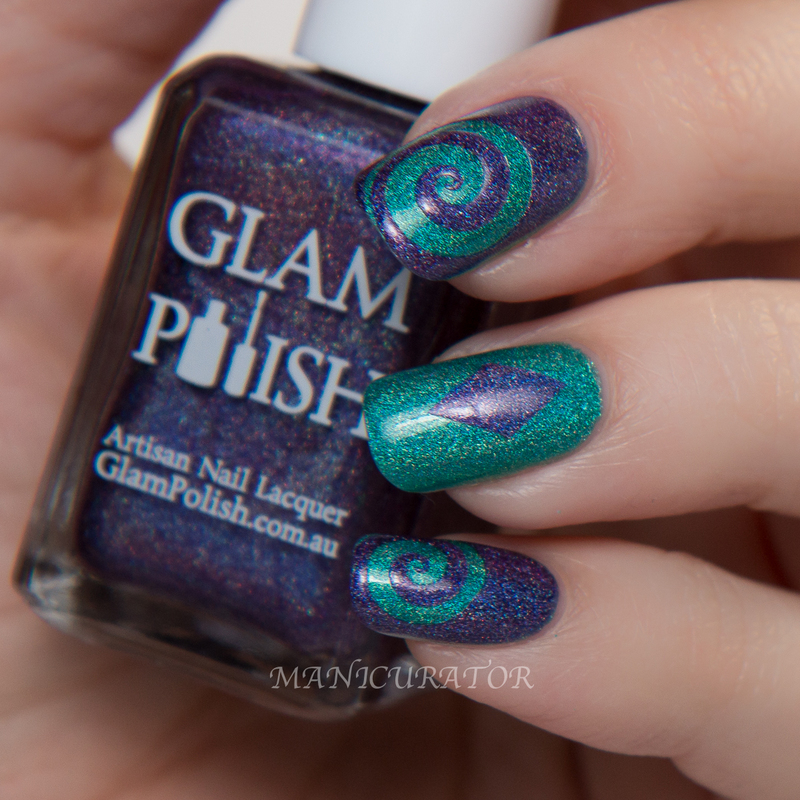 Glam Polish Bam! 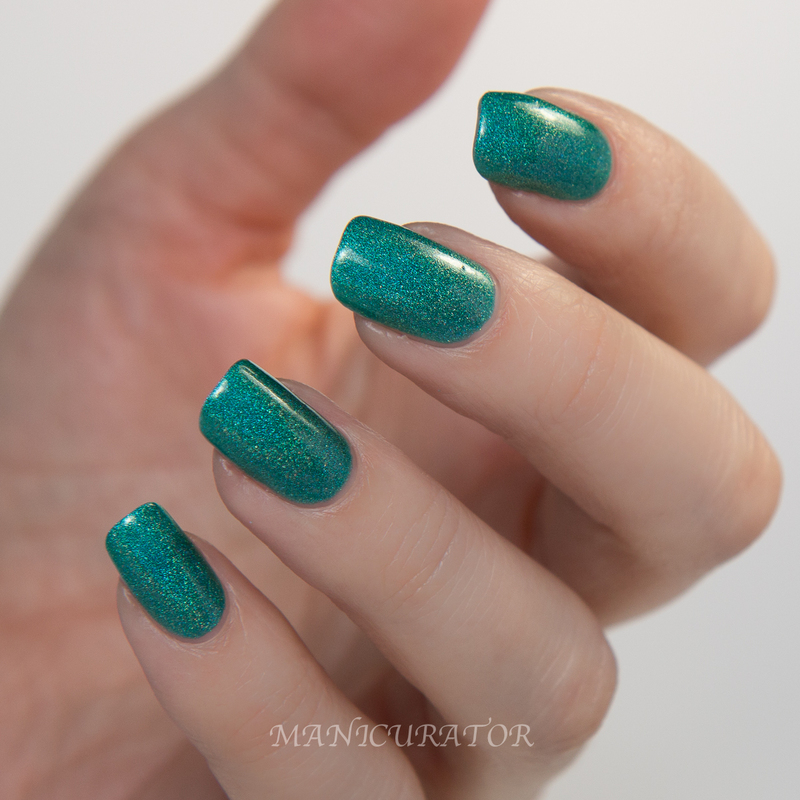 - Teal Ultra Holo. Perfect formula again, well all 5 of them had perfect formula, opaque in 1-2 coats! 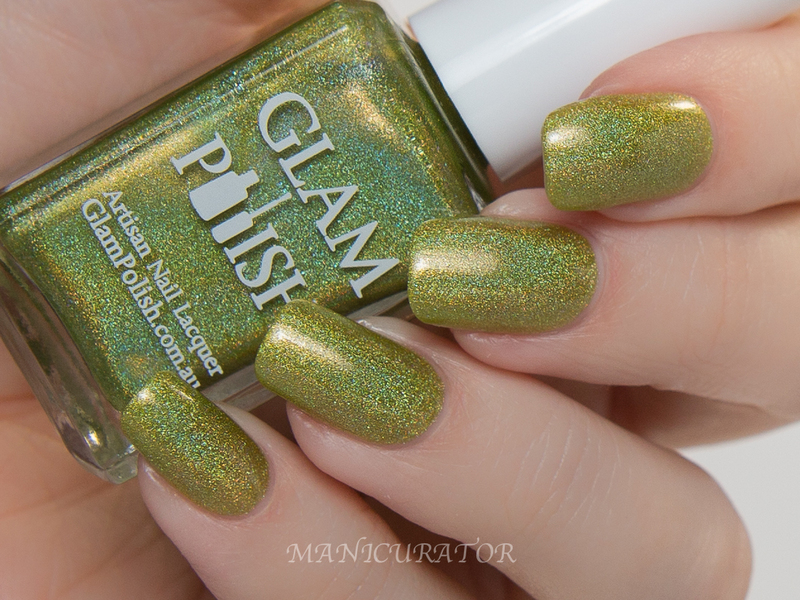 Glam Polish KA-BOOM! - Grape Ultra Holo. 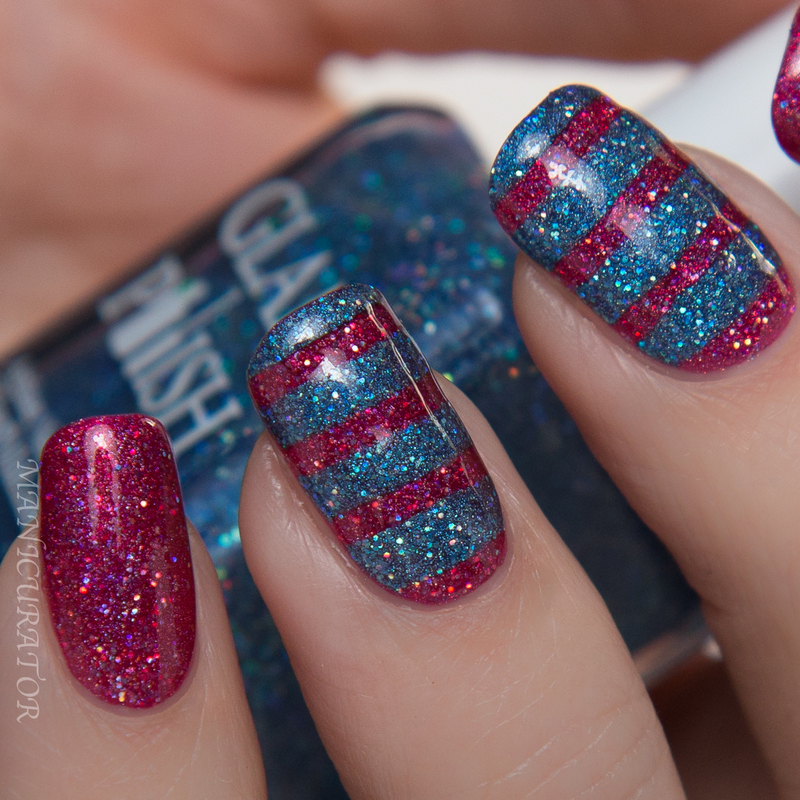 Loving this quirky nail art too! 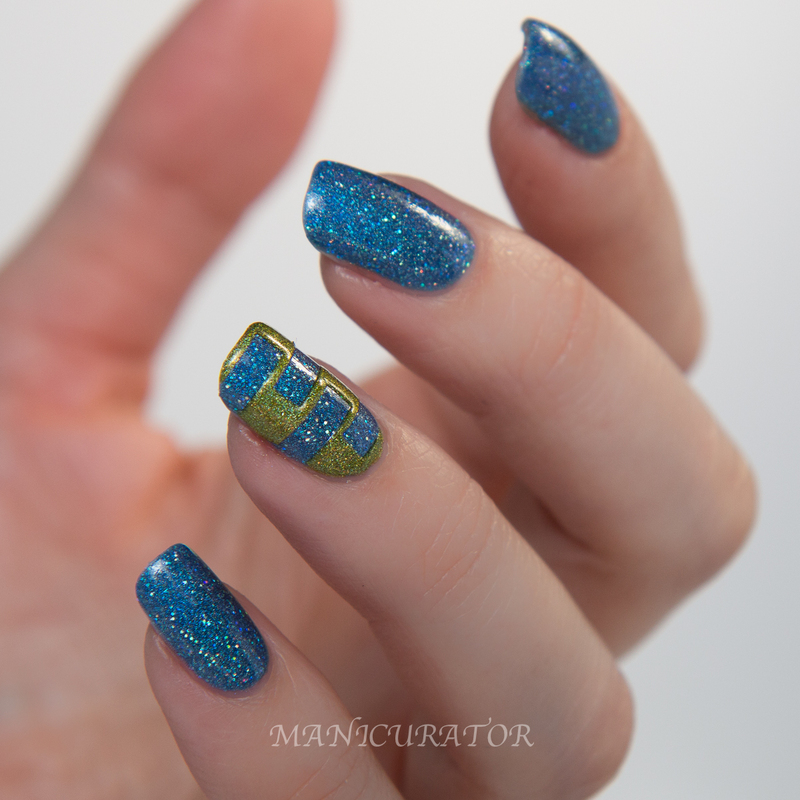 I used new KBShimmer nail vinyls here too, and simply blocked off the diamond shapes with tape. with shipping to Australia & USA shipping rates to USA are $3.50 USD for the first polish and an extra $1.00 for each additional polish. WOW, indeed! These are beautiful, and I especially love the criss cross look over the lime! Oh my God I just... I LOVE all of these. 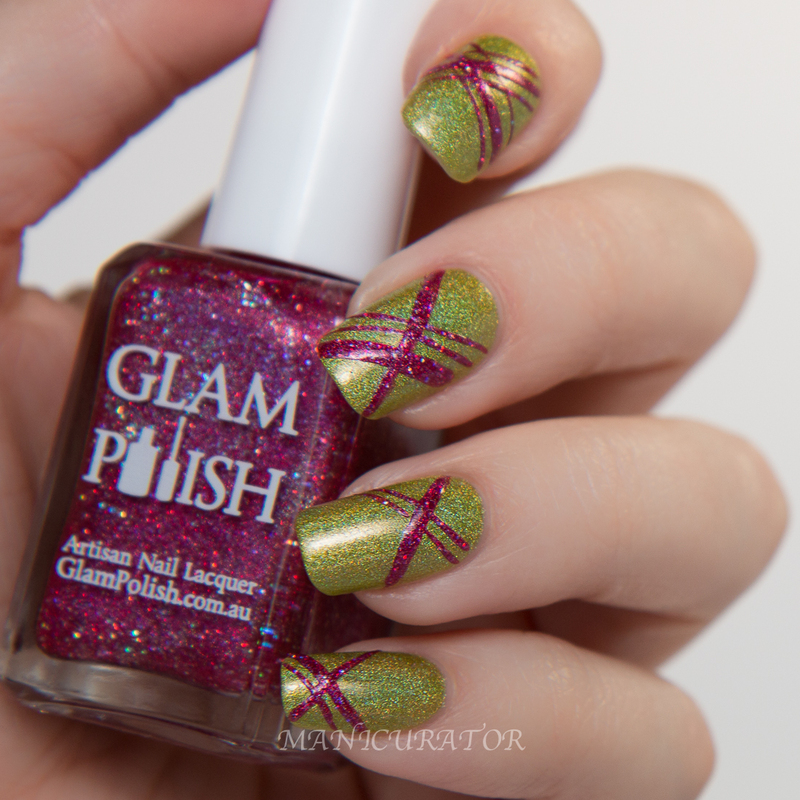 The green and magenta nail art is an unbelievable combo! 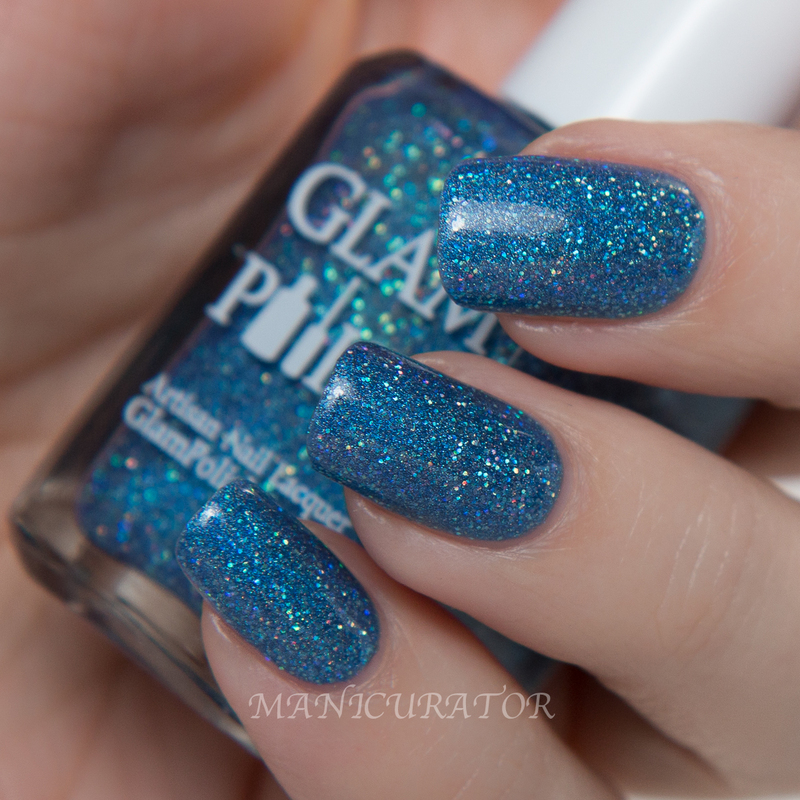 I swear Glam Polish can do no wrong - Beautiful! Soooo much sparkle! I love what you did with the art! Great job! These are incredible!! Love your spiral nail art, too. I LOVE the green and teal....and your nail art is spot-on as always! All of these polishes are gorgeous and I love the mani you did with them. I loooove these shades! And it's always so great to your gorgeous nailarts ♥. Wow, these are so very sparkly! Love then! Everything you did was absolutely perfect & these shades are gorgeous! I need to try swirls!!! I love this whole collection and the designs you created with it! 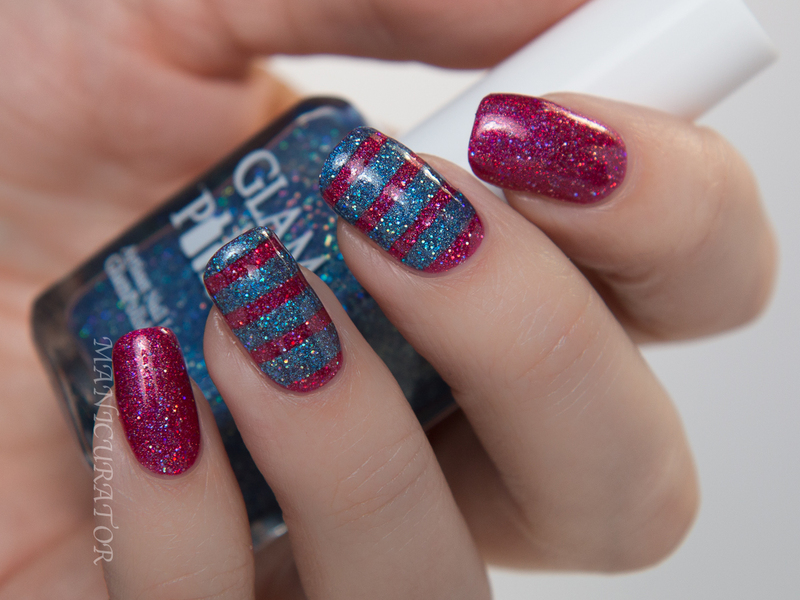 Thanks for sharing these stunning swatches. Absolutely stunning!! Both the swatches and the nail art you did!